From real person to announcer; from mom next door to your Fairy Godmother having a grumpy day, Melinda is a seasoned voice actress with a wide range of deliveries. Fast and a pro in the studio. Do you have the right voice for the job? Director Martin Ritt calls it the ‘vein of gold’, a certain territory, a zone that actors get in where they’re doing exactly what it is they’re put on earth to do. You know a vein of gold performance because it’s dead on-target. Doing voiceovers is my vein of gold. 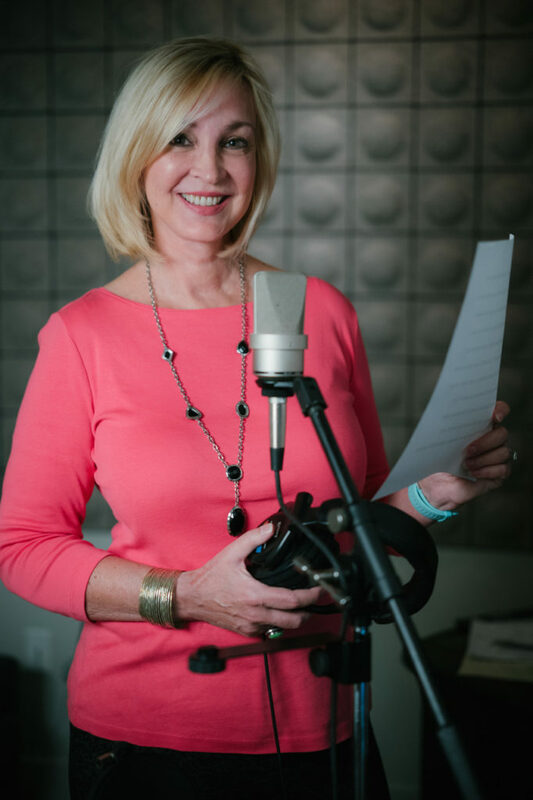 From the minute I stepped in front of the microphone I realized I had discovered my passion: to use my voice to create audio that would inspire the listener to take action. It becomes a fun challenge to discern exactly what it is that a director wants and to give it to them in the least amount of takes possible. It helps too, that I’m also a writer, director and producer — understanding the big picture enables me to deliver the read you’re looking for more quickly. 30,000 voice projects later, I still love it as much as the first voiceover I did, which you can hear here if you’re curious! Ready to get started on your voice project?